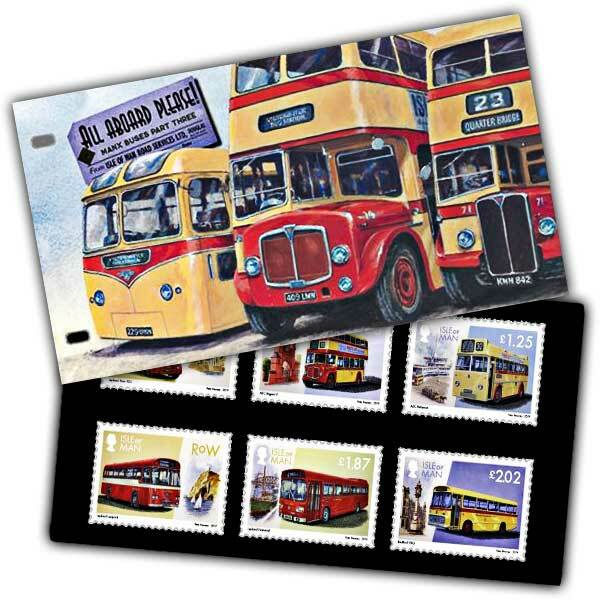 This colourful set of six stamps standout against the black mount which safely holds the mint set of Manx Buses stamps in this four-sided mini-folder. The images have been specially commissioned from renowned motorsport and transport artist Peter Hearsey, while local historian and author Richard Davis provides expert commentary. 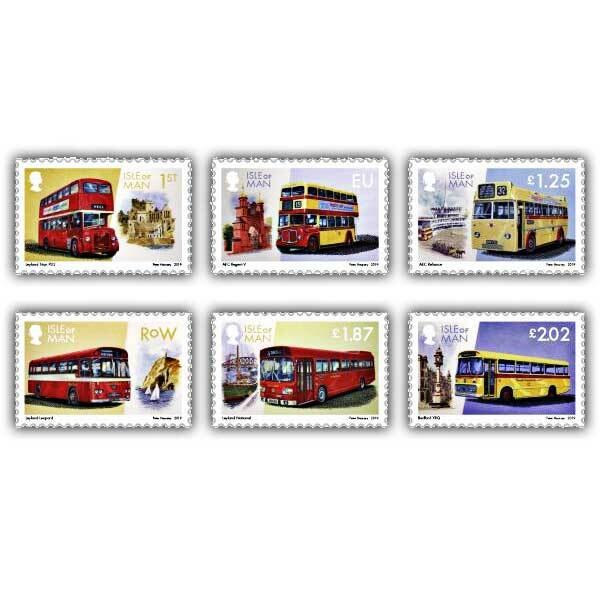 This set features Manx buses from both the Douglas Corporation and Road Services fleets from the 1950s through to nationalisation in 1976 when the two fleets were amalgamated under government control as Isle of Man National Transport.